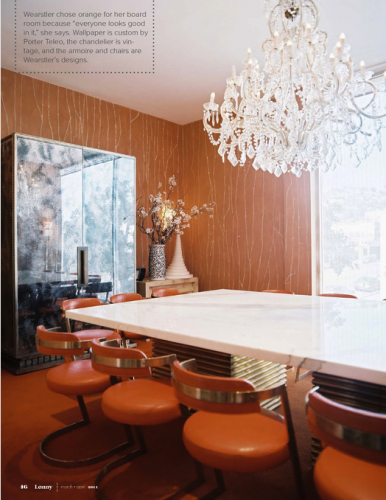 Kelly Wearstler’s office entry…love love love! 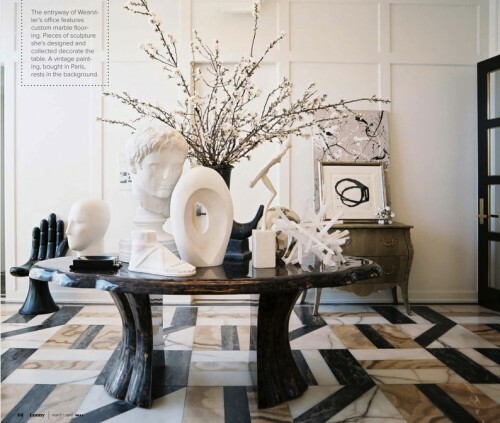 Gorgeous custom marble flooring and cool Kelly Wearstler designed sculptures. 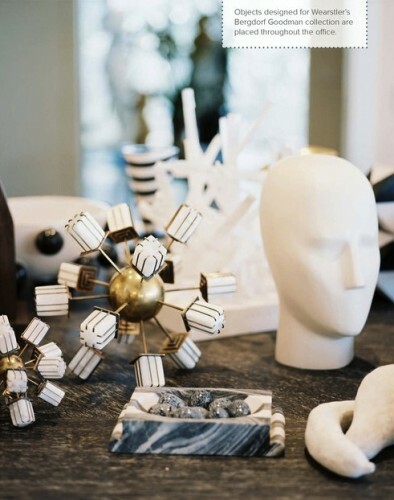 Kelly Wearstler sculptures available at Bergdorf Goodman. Kelly Wearstler’s boardroom. The armoire and chairs are custom Kelly and the wallpaper is custom by Porter Teleo.